Jakarta. 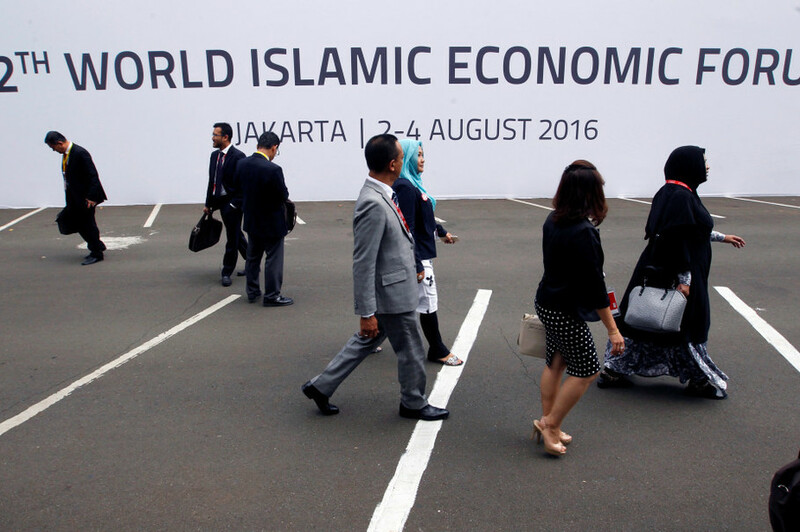 The Islamic Development Bank, or IDB, last year provided more than $1 billion in funding to support development in various sectors of the Indonesian economy, ranging from urban development to energy and education, the Jeddah-based multilateral development financing institution said in a statement on Friday (13/01). “It [was] the highest annual pledge for Indonesia since the IDB’s inception and represents 20 percent of the targeted envelope for Indonesia for the period 2016-2020,” IDB Group president Bandar Al Hajjar said. According to the IDB’s website, it disbursed only $179 million in 2015. One of the projects the IDB approved for Indonesia last year was $330 million in funding for the National Slum Upgrading Project, which benefited 4,923 administrative villages in 116 cities in West Java, Sumatra and Kalimantan. The bank also approved a $330 million loan to state utility company Perusahaan Listrik Negara (PLN) to expand power transmission infrastructure in Java, Bali, Sumatra, Kalimantan and Sulawesi. The project will provide an additional 10,135-megavolt ampere, which contributes to the government’s ambitious 35,000-megawatt power plant construction program. There was also a $177 million financing package to four national universities – Sultan Ageng Tirtayasa University in Banten, Malang University and Jember University in East Java and Mulawarman University in East Kalimantan – to improve their capacity in curricula, staff development and research capacity to promote innovation. “We are also undertaking significant efforts to deepen the Islamic financial services industry by providing technical assistance, capacity development, direct and indirect lending, equity investment and advisory services with national players such as the OJK [Financial Services Authority], Ministry of Finance, Bappenas [National Development Planning Agency] and Bank Indonesia,” said Ibrahim Shoukry, Indonesia representative of the IDB Group. Last year, the IDB invested $100 million in the government’s shariah-compliant bonds. This investment increased its Indonesian sovereign sukuk holdings to more than $1 billion. The International Islamic Trade Finance Corporation, the trade finance arm of the IDB, also provided a $109 million loan facility in Indonesia to innovate financing for coffee exporters and sugar and oil refineries.